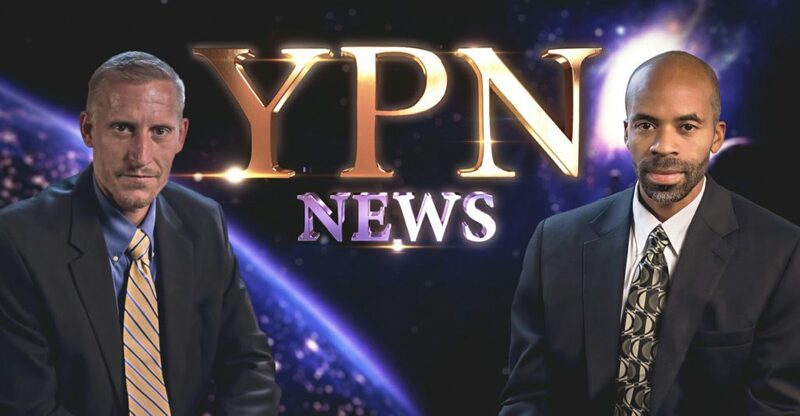 Caton: Welcome to another edition of YPN News bringing you News at it relates to Bible Prophecy and foretold by Yisrayl Hawkins. Well we have a powerful hurricane that’s reeked havoc on the Carribean Islands, we also have that same hurricane heading towards the Southeast coast of the United States. We’re going to talk a little bit about the cost of leaving the European Union for the UK and also continuing conflict between the United States and Russia over Syria. Caton: But we’re going to start off with some media reports that were given sighting the US government sources saying that Washington is considering military strikes against Syria’s government, after America severed talks with Russia over the Syrian Peace Process. Also as a note, Washington understands that a potential attack against Assad forces will bring America and Russia closer to conflict. Caton: The peace process in Syria is being hampered as a result of America’s cutting its ties with Russia over the Syrian peace process. Washington blamed Russia for being ineffective in its fight against ISIL and in reaction, Moscow replied, the US is ready to strike a deal with the devil to achieve its aims in Syria. So as diplomacy falters, ‘what will the US do next?’ is the question on the minds of many. Caton: Mr. Toners response, “There was a series of events, including the attack, by mistake on Syrian forces, followed by the attack on a humanitarian convoy and then subsequently attacks on civilian targets in Aleppo. We can talk about opposition groups using the pause to resupply, that’s a reality.” So Jeff, it sounds like he’s saying that those things did play a part in the failed deal and the state department does concede that the rebels did have a role to play. Jeffrey: Now Washington’s narrative is that Assad and Russia suddenly rejected diplomacy and chose a military solution. Now if you remember, Kerry was also for a military solution when he stated, “I’ve argued for use of force. I stood up. I’m the guy who stood up and announced we’re going to attack Assad because of the weapons, and then you know things evolved into a different process. Caton: So I wonder why there’s a surprise that so-called Russia and Assad is wanting military force when the United States was at one point. Seems like they would still be on the same page but apparently not. Many within the US government are challenging the single policy on the Syrian war and the Obama Administration is once again considering a military action and we may once again see a divergence of views within the administration on how to proceed in Syria. Caton: She continued, “…that was most difficult in our bilateral negotiations because we were not dealing with a partner with a joint view. We were dealing with people who were changing their opinion and point of view on what is going on in Syria, actually every day. These concerns were also admitted by people in Washington.” That in fact they were having a lot of change of views. Jeffrey: James Carden from The Nation magazine talked about establishing a no-fly zone and how it could be the next move from Washington. In an interview with RT, he said, “There’s going to be a lot of pressure on the president to institute a no-fly zone or the so called safe zones in northern Syria and that would put us on the road to a direct confrontation with the Russian federation, Iran and Syria. Caton: The weather continues to be outrageous across the globe Jeff. While Hurricane Mathew is spinning its way along the southeast coast of the United States, it has already brought devastating blows to the Island of Haiti. At this point the number of dead is unclear due to the extreme extent of the destruction, but there are reports that it could be as high as 800. The storm has also left thousands of people homeless and is the worst natural disaster in the country since the magnitude 7 earthquake that hit the Caribbean island in 2010. Jeffrey: In France there seems to be a storm brewing of a different kind. The French President, François Hollande is warning Britain it will have to pay a heavy price for leaving the European Union. “There must be a threat, there must be a risk, there must be a price,” he said, arguing that his stance is necessary, otherwise quote, “the principles of the EU will be questioned.” So it sounds like they want to make a statement here. Caton: Well, Hollande also believes allowing the UK to leave without consequences, will risk other countries wanting to do the same to enjoy the supposed benefits without any downsides. Jeffrey: The US is not taking Russia’s words lightly Caton. ‘Washington has threatened to “impose costs” on Russia over the Syrian conflict, without UN backing. This may be the harshest warning thus far from America. What began as criticism a few weeks ago has quickly shifted to direct threats. Jeffrey: Secondly, the United States promised they would separate the terrorist of Al-Nusrah from the so-called, ‘moderate rebels’ which they support. However many months later the US is still backing both the rebels and terrorists. But it doesn’t end there. Caton: News media groups are saying, It’s like all the talk of peace has been forgotten, and a recent Headline from Independent News reads, “Future war with Russia or China would be ‘extremely lethal and fast’, US generals warn”.